Viknesh Vijayenthiran December 19, 2018 Comment Now! 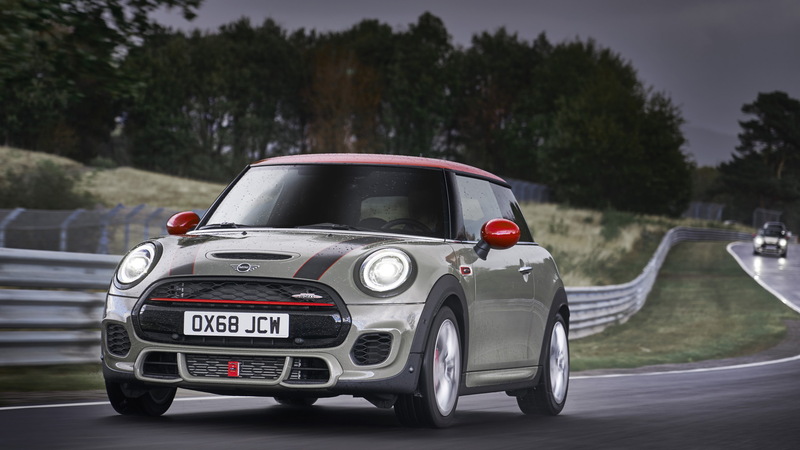 Mini launched an updated version of its Hardtop earlier in the year and on Wednesday the covers came off the car's John Cooper Works performance variant. 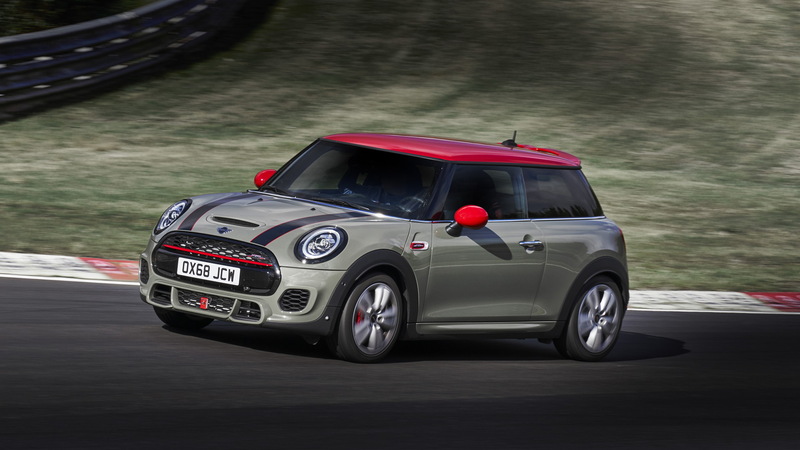 Both the updated JCW Hardtop and Convertible have been revealed. 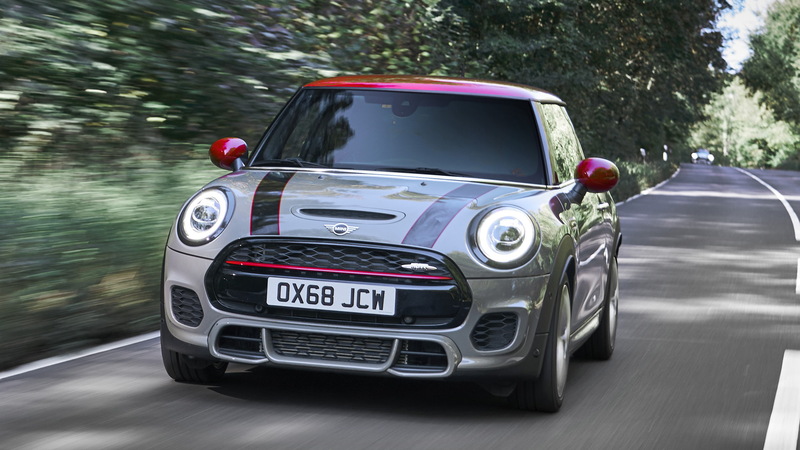 The updates represent a mid-cycle update for the current third generation of the modern Mini, and in the case of the JCW models the changes are minor. The key update is a gasoline particulate filter, which is integrated into the sports exhaust system and has no negative affect on performance. Specifications for the United States are yet to be announced but in other markets the JCW-spec 2.0-liter turbocharged inline-4 delivers an unchanged 228 horsepower and 236 pound-feet of torque. Buyers can still choose from either a 6-speed manual or 8-speed automatic, and in the JCW Hardtop you're looking at 0-60 mph acceleration in the low 6.0 seconds with either transmission. 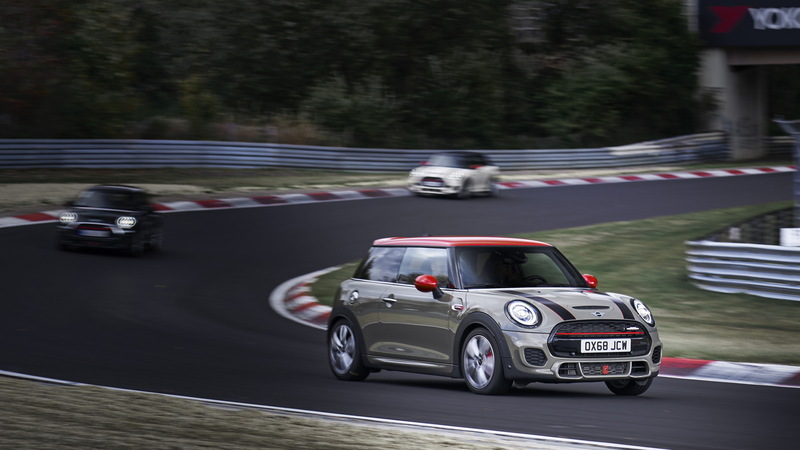 The JCW Convertible is about 0.3 seconds off the pace of its hatch sibling. 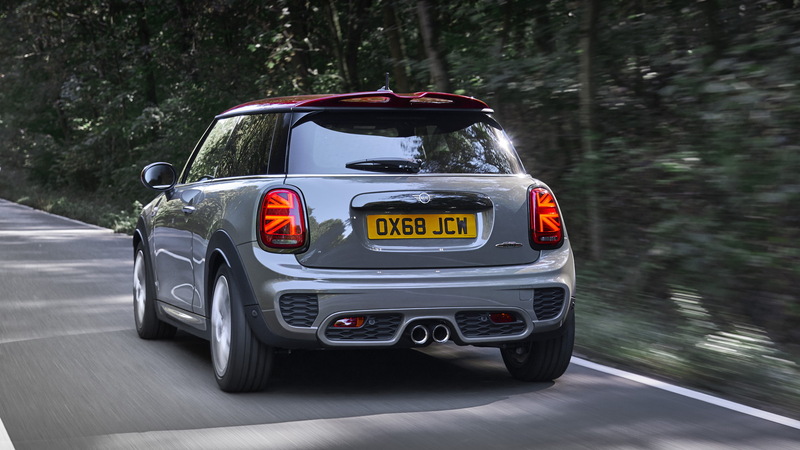 On the outside, the only change is the Union Jack graphic of the taillights, while for the interior Mini has developed some extra personalization options. This includes piano black trim with LED back-lit accents, a wireless charging pad, a Mini logo puddle lamp, and several new digital services for the infotainment system. Details on the updated JCW Hardtop and Convertible for the U.S. will be announced closer to the market launch next spring. While the updates are definitely on the mild side, Mini has some major plans in the work. Next year we'll see the launch of an electric Hardtop and in 2020 there will be a new generation of the track-focused John Cooper Works GP Hardtop.